Russian President Vladimir Putin expressed gratitude to his Kazakh counterpart for mediating Moscow-Ankara relations after the downing of a Russian jet by the Turkish Air Force last fall. 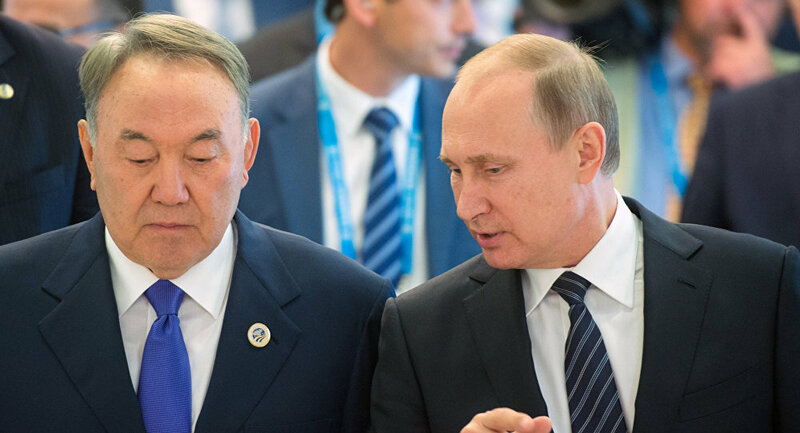 BOCHAROV RUCHEY (Sputnik) – Earlier, the Kazakh foreign minister said that Kazakh President Nursultan Nazarbayev used his relations with Russian President Vladimir Putin and Turkish President Recep Tayyip Erdogan to help mend ties between Moscow and Ankara. "You mentioned the restoration of Russian-Turkish relations. In this regard, I would like to thank you for the efforts that you have undertaken, meaning your mediation. As you can see, it was a success," Putin told Kazakh President Nursultan Nazarbayev. Putin underscored Russia's commitment toward fully restoring bilateral ties with Turkey. "Turkish President [Recep Tayyip] Erdogan's last visit to Russia confirmed our mutual intention to complete the work not only to restore, but to develop our bilateral ties," he said. Nazarbayev welcomed the rapprochement between Moscow and Ankara, pointing out that the international community understands it is impossible to solve international issues without Russia.